If you are like me, you've been spending the last few months dreaming of this year's garden. You've put a plan together for what you want to grow and know the best time to put your plants out in the garden. You've started seeds inside and have been growing them under grow lights or by a sunny southern window. You've tended to your baby plants and they are growing great. You are a proud parent and your thumbs couldn't be greener! But now, as it gets closer to the time to put your little teenagers out into the garden, you're thinking about getting them into the garden (and dreaming of getting your living room back, or is that just me?). Anyway, you still need to do a little more planning to ensure that their transition from inside your climate controlled and loving house to the big, bad world is smooth and successful. 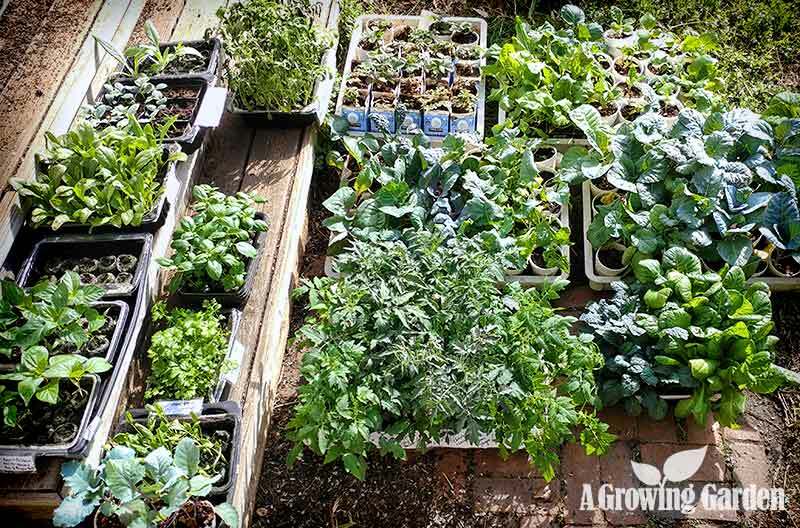 You need to harden off your seedlings with a little tough love before you pack them up and send them on their way. The first year I started seeds inside, on the first nice day we had in April, I put the seedlings outside for an entire day. When I (finally) brought them back inside for the night, I was horrified. Most of the plant's leaves had turned white and were curled. The plants looked terrible! My poor little seedlings had gotten a wicked sunburn and, while they eventually recovered (after many weeks), it definitely was not good for them. If I had really thought about it, I would have realized that I needed to introduce my seedlings to the harsh world gradually. And that's exactly what hardening off seedlings is! So, in very basic terms, you want to build up your seedlings tolerance to the elements (mostly sun and wind). Start small and build up their stamina so that they can withstand being outside all day and night. To get started, pop them outside for an hour of shade and then bring them back inside. Then put them outside for 1 hour in full sun the next day. Then an hour of full sun with an hour in the shade the following day. Then 2 hours of full sun and 2 hours in the shade the next day, and 3 hours the next. And on and on until they are ready to live outside full time. While it's kind of a pain to schlep your plants outside and then back inside every day, it is totally worth it. 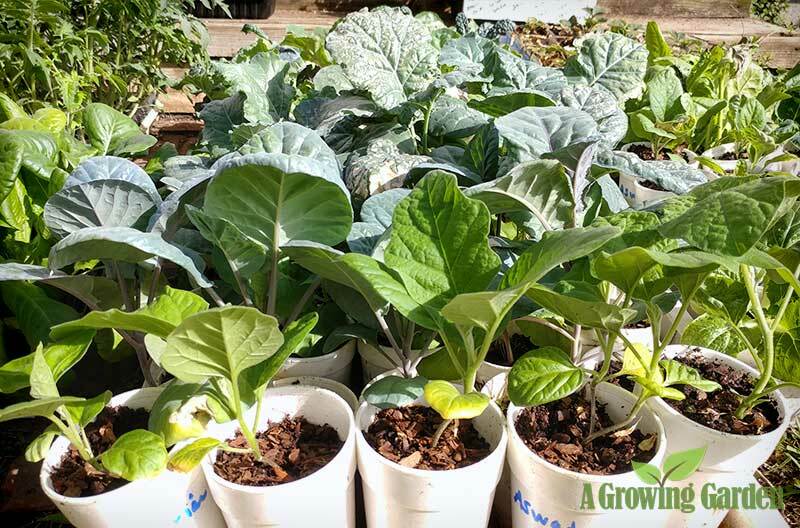 It takes a bit of time and planning (not to mention the wear and tear on your back), but your plants will be healthier and will be as ready as possible for planting them in your garden in the next few weeks. You'll be giving them the best start possible! Here's what my seedling hardening off set up looks like today ... Nothing fancy, but it works!